Before Deirdre Macnab, "We weren't that much of an activist organization," says Florida League of Women Voters board member Michele Levy. "She said we had to be brave." 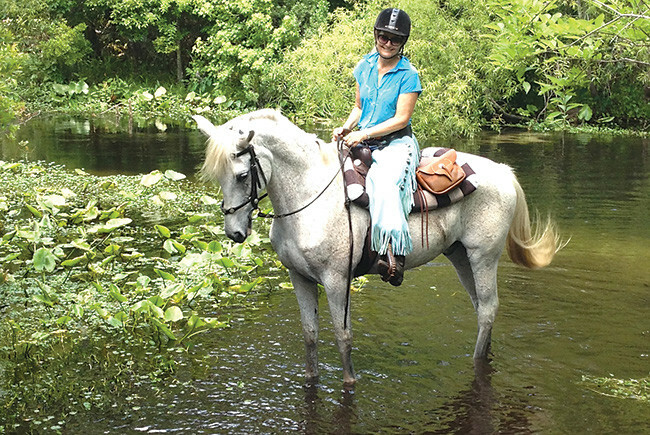 Macnab is an avid trail-rider who rescues abused or neglected horses. She recently took in her fourth -- she named it Nelson Mandela, to go with her other horses, Winston Churchill, Susan B. Anthony and Teddy Roosevelt. On a wet election night seven years ago, a few members of the Florida League of Women Voters squeezed together under the overhang of an outdoor bar at the Enzian Theater, an art house movie theater in Orlando. They had gathered to celebrate. The league, a non-partisan, volunteer organization that prides itself on never having endorsed a candidate, had campaigned hard for a pair of constitutional amendments meant to put an end to political gerrymandering in Florida. But the rain dampened turnout and ruined plans to project the results onto an outdoor screen. And as the few league members who showed up anyway huddled around a laptop at the bar, promising early returns began to fade. It became clear that Florida Republicans, who had fought hard against the amendments, were having a great night across the state. Soon, it appeared that Fair Amendments wouldn’t get the 60% of the vote it needed. Upon hearing that Rick Scott had won the governor’s race, “we were all waiting for the other shoe to drop,” says Charlie Williams, one of the members there that night. Instead, sometime late — Williams thinks it was between 10 p.m. and 11 p. m. — a television station announced the Fair Districts amendments had in fact passed with the necessary margin. The group erupted, cheering and whooping and drawing puzzled looks from others around the bar. The toast was led by Deirdre Macnab, the league’s president until 2015. The amendments ultimately led — after four years of lawsuits — to new legislative and congressional boundaries and the election of a sizable number of new, more moderate members. The 2010 election also marked the beginning of the league’s emergence as one of the most influential interest groups in Florida politics. Following the Fair Districts campaign and litigation, the league supported a campaign to pass a constitutional amendment funding land preservation and another to defeat an amendment giving the state’s big utilities more control over the future of solar power. It helped defeat legislation to expand gun rights in places such as college campuses. And it’s now pushing to prevent Scott from appointing three Supreme Court justices on his final day in office, to restore voting rights to felons who have served their sentence and to open primary elections to all voters, regardless of party affiliation. Macnab was born in Manhattan into a family of activists. Her dad worked for the American Arbitration Association, which encourages the use of out-of-court arbitration to settle legal disputes. Her mom founded a group called “Peace through Art” that brought artists from around the world to the United States. And her grandmother was a former vice chair of the Democratic National Committee who served in the State Department under President Lyndon Johnson and who Macnab says spent her early years registering women and African-Americans to vote. Macnab’s first job was advocating for inmates’ rights on Rikers Island. Later, she earned an MBA from Columbia and went into marketing, first as a management associate at Dun & Bradstreet and then with her own direct-marketing business, where she did things like organize author appearances at bookshops or in-store demos for a golf-club manufacturer. 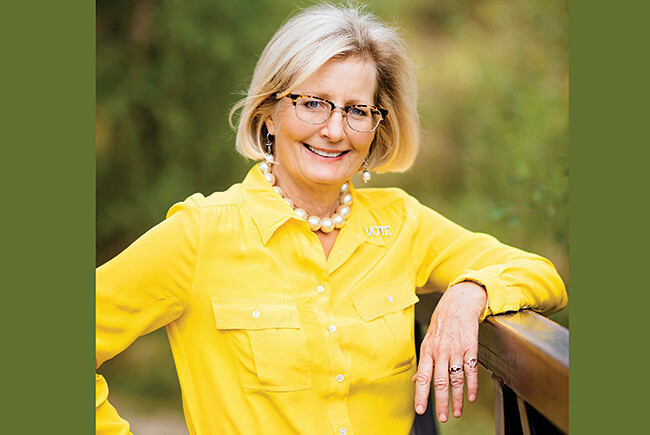 When she and her husband, Craig Macnab, moved to Nashville and had children, she gave up the business and got elected to the local school board. The couple moved to Orlando in 2004 when Craig was named CEO of National Retail Properties, a real estate investment trust that owns more than 2,500 properties around the country. The couple owns a $1.5-million lakefront home in Winter Park. Once in Orlando, she began attending lunches organized by the league’s Orange County chapter, which were, at the time, held in a conference room in the offices of GrayRobinson, a law firm cozy with central Florida leaders. After three lunches, someone asked her if she would like to be president. She moved the league lunches out of GrayRobinson and then started pulling it into some of the region’s major public policy debates. The league, for instance, had a longstanding position in support of mass transit, so Macnab had the organization start advocating for the SunRail commuter train. The move alienated some league members who lived in Winter Park and didn’t want a stop in the middle of the city’s Park Avenue shopping district; a few quit. Macnab pushed on, and within five years, the Orange County chapter’s membership had grown more than 400% and its budget soared more than 900%. Ending gerrymandering had been one of the first issues the league took on when it was established in 1939. Macnab and other league leaders note that they supported redistricting reform even when Democrats controlled the Florida Legislature. But their attempts at reform had often been naive and ineffectual — appearing before the occasional legislative committee or sending a few volunteers to stand outside libraries with petitions. Macnab, campaign organizers say, pushed the league out in front of the Fair Districts campaign in a way it had never been before. She organized and deployed teams of signature-gatherers. She wrote newspaper op-eds and letters to the editor. She crisscrossed the state in her blue Mini Cooper to meet with Tiger Bays, NAACP chapters and other civic groups. Friedin says Macnab was the source behind one successful publicity stunt where supporters staged a news conference along a section of railroad track in central Florida where four congressional districts came together. The league’s most impressive victory since Fair Districts was its campaign last year against a solarenergy constitutional amendment pushed by Florida Power & Light and other investor-owned utilities that would have cemented Florida’s current solar energy laws into the constitution.